Has anyone noticed that when you go on fantage all you see is BFF tryouts, find your wun/ wun tryouts, parties, family tryouts/ toddlers randomly wanting a mommy,or movie tryouts nowadays?? I mean what happened to the old tryouts like Cinderella tryouts ( I know these weren't all that good but still), fantage got talent, miss fantage, magic school, etc ( plz named some old tryouts I missed). Now here is what is not all that good about these tryouts. BFF tryouts: just horrible horrible horrible. You don't find a BFF by tryouts! I didn't find my fantage friends like that! What happens at the BFF tryouts is you just forget about your so called BFF the next day! Find your wun: it's a kids game owo you should,nt have wuns! Anyways you forget about your wun the next day at these things just like the BFF tryouts! Also these stuff are crazy and filled with drama! I've been to a few and there are mem girls calling non boys ugly, this random girl getting all the guys, 15 random girls fighting over one guy and they don't even get him, people being rude to each other because they want the same guy/girl. This is too much drama and it's stupid! Parties: this is getting annoying. All it is is innoprpriatte parties and filled with drama as well. Family tryouts/random toddlers wanting a mommy: um you just forget about the family th next day as well. Also it gets annoying when random toddlers talk in cute baby voices and all that you know what. Movie tryouts: it's always high school drama!!! Everyone who goes to these tryouts aren't even in highschool and they think ey know everything about high school! Also all the people seem to do is there is a new girl, dumb mean pop bad actresses who keep saying " eww look at the new girl" and all that lame stuff. At least do a different kind of movie???????? I hope you know when people do these tryouts they're roleplaying. I used to do these all the time as a kid and they were the funnest thing ever. Omg I forgot about hotel at my plccccccc I miss those things so much! Oh my gosh! Magic School! *sniffles* I really loved those..and sleepovers? Oh gosh, those were great! I hate how people want to have family tryouts and everything else you said.. *sigh* But you know what I noticed? I don't see members making fun of non-members that much anymore..that's good right? Those Non-Members vs members stuff..But I highly doubt it ended..
You remember where people would stuff their houses with lots of furniture so that the people who would go in would try to find their way out? I somewhat enjoyed those! Also, I remember when instead of 'wun' people would call them 'PD' Those memories ^^"
Aw snap, please, please bring back the old fantage. Roleplaying was so much fun back then when I was 7-8. "id would talk like this" NOT LIKE "ijjdd tjlk lijjek tjisss" Remember people wondering how they got back into the cafe window, how they go into the sky. Ahh fantage, nooby but perfect with awesome stuff. Well there are people who still do that sort of stuff, I've never really seen the "old" fantage except through other people and youtube vids. These seem like fun things to do and I usually go to these tryouts if they happen to show up. Well, you can always do these tryouts to bring the good old days back and others might start doing it too. Ah yes, the old Fantage was pretty cool! Does anyone remember Fantage Japan? Sorry if this is off topic but back when I used to be on Fantage Forum a lot, the topic of Fantage Japan was a hot topic. For those who don't know, Fantage Japan was another Fantage website except it was all Japanese written and it would be hard to sign up for it ^^" I found it by a friend but slowly after people started to know about it..Fantage Japan was gone..they say too many people in the USA signed up or nexon just deleted the site.. When you logged in to Fantage Japan, it would look like the old Fantage! It was pretty awesome. There was old clothing and everything! *clears throat* Uh anyways, I wish Fantage didn't create pets :/ I mean, we were all excited, most of us, for the pets coming out and if you remember, Fantage didn't get the pets on Fantage on time which started some rage ^^" yeah I was apart of it too.. But now I hate these pets! In my opinion, they are very useless and is a waste of time. One of the reasons why I left was because Fantage started to make so many stupid pets!! I totally agree with everything you said! Mostly the Movie tryouts. I remember once a year ago, I made a movie tryout. The tryout was for a fantage horror movie that I was putting up on youtube :/ All the actors I hired..They quit like 5 minutes later because there were no mean pops and stuff. Like, why do you like the mean pop girl thing so much???? Anyway the fantage sleepovers were the best! I miss them so much. -Mean pops are always on the red and purple side, New girl's BFF at the green table, nice pops and nerds on the yellow table, with the new girl hiding behind the chalkboard or at the door and the teacher at the large brown desk at the right. -New girl enters the scene, the teacher introduces him/her. Mean pops go "ewwwlook at the new girl" and the new girl sits next to new girl's BFF and tries to become friends with him/her while the nice pops and nerds at the yellow tble who aparrently did not get the role of new girl or new girl's BFF crowd around her and try to become her friend instead. -At this time the teacher tells everyone to settle down and do some work, usually reading and writing, math, or a test. However, new girl and new girl's BFF chat a bit and then begin to work, and the mean pops pretend to whisper mean things about the new girl. New girl's BFF, nice pops and nerds come over and try to steal the spotlight and come over in one big group and all act like they heard what the mean pops said and lecture them as if they could've just walked over when they were supposed to be studying in real life and not get in trouble. Eventually either the teacher or owner gets mad and they say "llbell rings ll LUNCHTIME" and everyone goes to lunch. -When everybody is at lunch and the occainsional mean pop or new girl is talking with the teacher, everyone gets food and says "ll gets food ll", "ll gets salad ll", "ll gets pizza ll" and "ll sits ll". New girl and her BFF sit together, and the mean pops take a whole table. Some nerds and nice pops sit at the mean pop to try and shake things upa bit, but it usually fails or the mean pops just tell them not to sit there and they leave because the action is at the nerds, nice pops and new girl/new girl's BFF table. Occasionaly the new girl will sit by the mean pops and cause some drama, but it usually ends and she goes where she's supposex to go, or they just argue u ntill gym. The mean pops start a food fight or is mean to the new girl somehow and the nerds, nice pops andnew girl's BFF all come over and try to save the new girl when she falls or something. Then the owner or teacher gets mad and says "ll bell rings ll GYM" andthen everyonegoes to gym. -Nothing happens in gym, except when mean pops laugh at kids and everyone says "ugh gym" untill the teacher or owner get bored and says "ll bell rings ll MUSIC" and everyone goes to music. -Sometimes there is no music, but EVERYONE tries to steal the spotlight with singing or the guitar. Some kids who are actual musicians yry to just stick with what they actually play, and mean pops always try to sing louder than everyone else and try to be the best, and say how much everyone stinks. Then the teacher or owner gets bored and says "llbell rings ll PEOM" and everyone says "Yay prom" and go to rom. -At prom, sometimes there is already people there making it kinda awkward, or somebody goes downtown to get people to come to prom. Almost nobody gets a date, everyone is all dressed up and they prwtend to have bf and gf drama. Then some random person who apparently looks the best wins prom queen and he/she might have not been in the real movie. Then it ends and everyone leaves.. I agree with you (do i call you linda now or hallow Ween?) Your right about everything I used to play fantage europe but one day i logged on and it lead me to fantage.com so it chose my username so i had to write it down but then when then blady blah bah people did HORRIBLE TRYOUTS.I 100% agree with you. 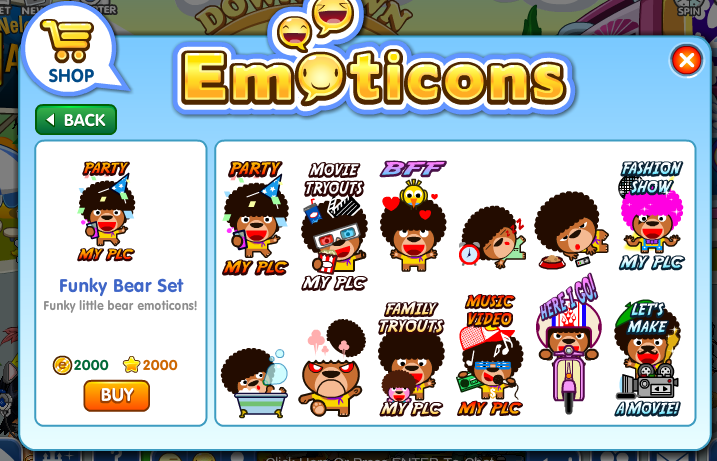 Fantage made new "Sticker emotions" saying Movie or Family or Music Video tryouts my place. I just went on..oh dear.. I seen this a while ago and then i exited fantage and was like "nope"
I think fantage is beginning to aim for older kids, because that's probably where they get most of their money. So they're beginning to stalk us now. now, there are new stickers to say like those movie and family tryouts. It hasn't changed over the years you know that right? Little 7 year olds trying to find boyfriends online it's been going on since 2009 ( maybe even before that I've seen it). Whatever. Whats the difference if 10 kids are saying "FAMILY TRYOUTS" versus 10 kids putting a sticker saying "FAMILY TRYOUTS".